The Israeli Air Force is pioneering new methods in cyber war for gathering intelligence as Iran races ahead towards nuclear capability. We must pioneer in taking on these new methods,” IAF Commander Maj. Gen. Ido Nechushtan said on a recent army conference on the use of cyber warfare in IAF missions. He made no reference to Iran, where one of its nuclear plants was disabled last year by a Stuxnet virus that is suspected of having originated in Israel. However, successful cyber attacks on Iran’s nuclear and missile facilities could help cripple the country’s nuclear ambitions and preclude the need of a military attack, which most observers think will be difficult if not impossible to succeed without engulfing the Middle East or even the world in a deadly war. 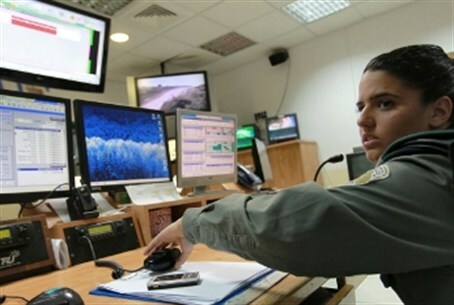 Concerning intelligence gathering capabilities through cyber warfare, Commander Nechushtan said, "I cannot further elaborate. Some things are better left to the imagination. “This is a new intelligence language and we are quickly learning how to incorporate it as part of traditional intelligence gathering methods." Air Force intelligence personnel at the conference explained that many operational events would not take place without network use. Most of the topics discussed at the conference are classified. Maj. Gen. Nechushtan said, “The IAF has been a computerized, high-tech power for years, and this will remain true as we incorporate these new fronts. We must see how this new field consolidates with the air force's missions."